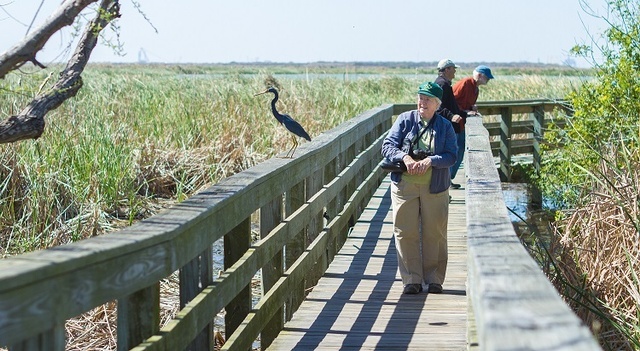 A raised boardwalk that is wheelchair accessible extends out into the cattails for a close-up encounter with birds, alligators, fish and more. 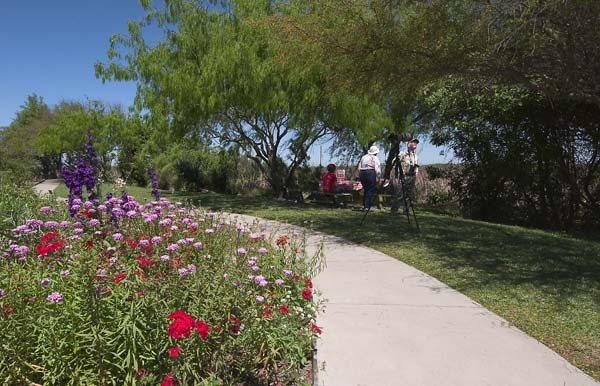 An observation tower offers a panoramic view of the pond and the surrounding flats. A free viewing scope is mounted on the tower and a free ADA-compliant scope is available at another viewing box along the boardwalk. 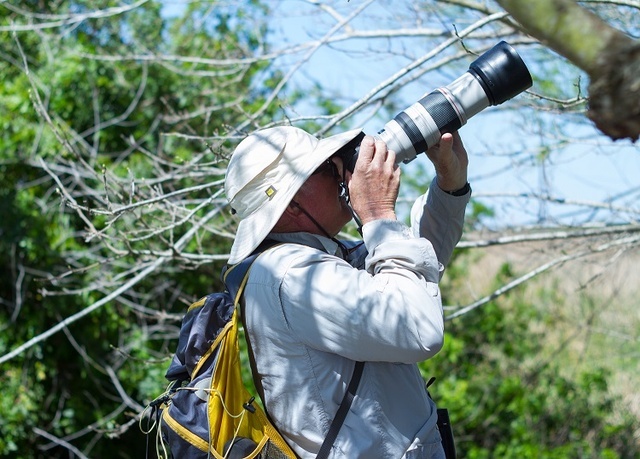 FREE guided birding tour for anyone, novice to expert. 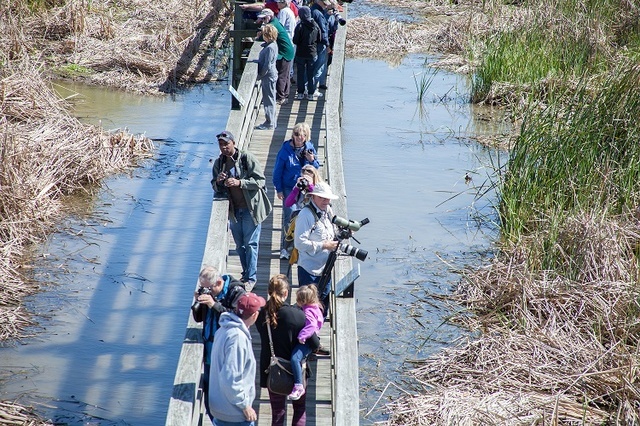 Wednesdays at 9am at the Leonabelle Turnbull Birding Center at end of Ross Ave, with local guide Nan Dietert.